Our first stop will be at AC/DC lane, where the display of street art is evident throughout the public space in the laneway. 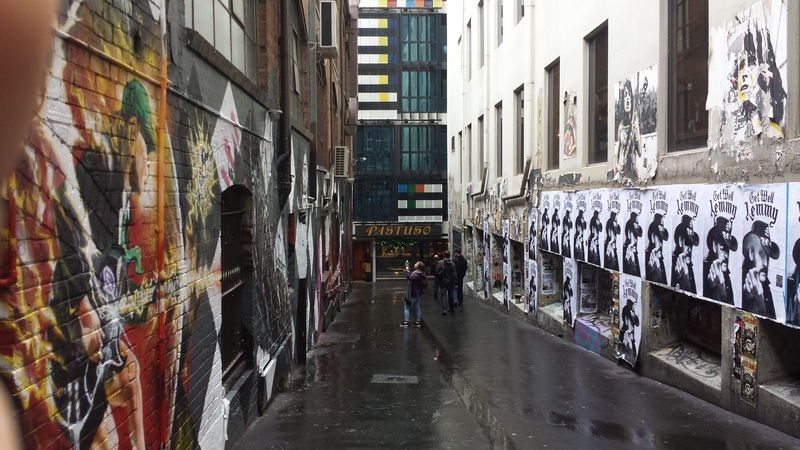 ACDC lane was renamed from Corporate Lane in tribute to the Australian rock band AC/DC , as they originated from Melbourne; and the laneway is also positioned with a rock n’ roll bar, Cherry, playing live music every night. Here we see a display of artworks of AC/DC and rock culture images surrounding the bar. 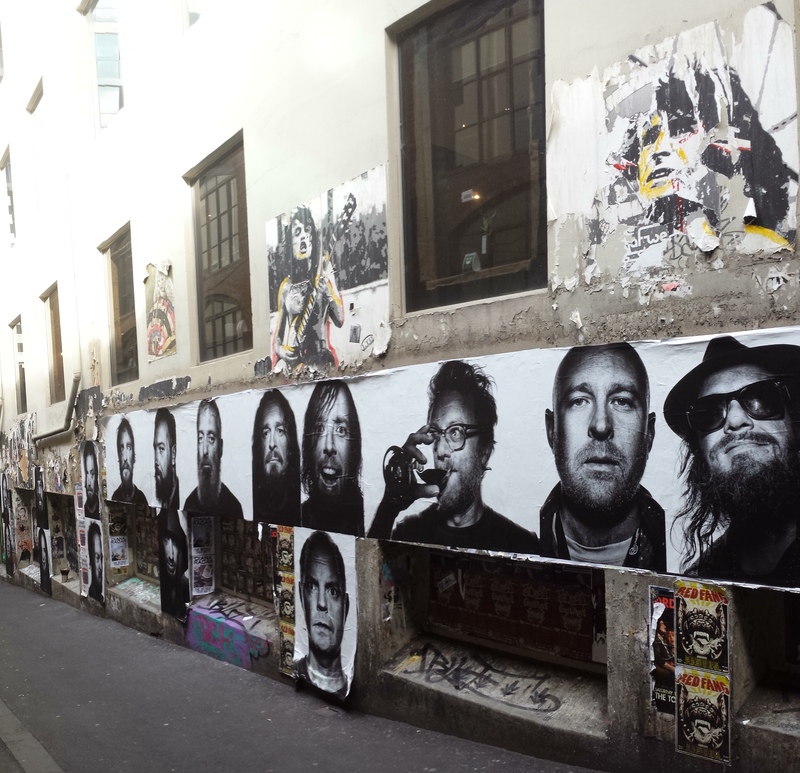 This helps captivate the attention of bypassers and the rock n roll nature of the laneway and bar, so as to attract certain crowds of people to the bar to come relax and enjoy the music. Furthermore, there appears to be name inscriptions on the wall that not only pose significance to the bar, but the thunder arrangement also commemorates ACDC. A double whammy! 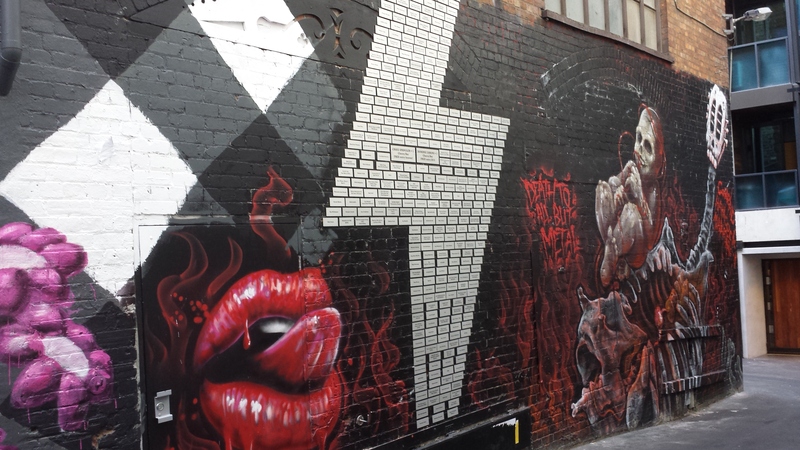 Despite the street art present on private property, it yet remains due to its attributes and it's role in sculpting the rock and roll bar, Cherry. Additionally, these artworks still remain as they may have been a commodity exchange between the artists and store owner' and are hence not identified as an act of vandalism but business. 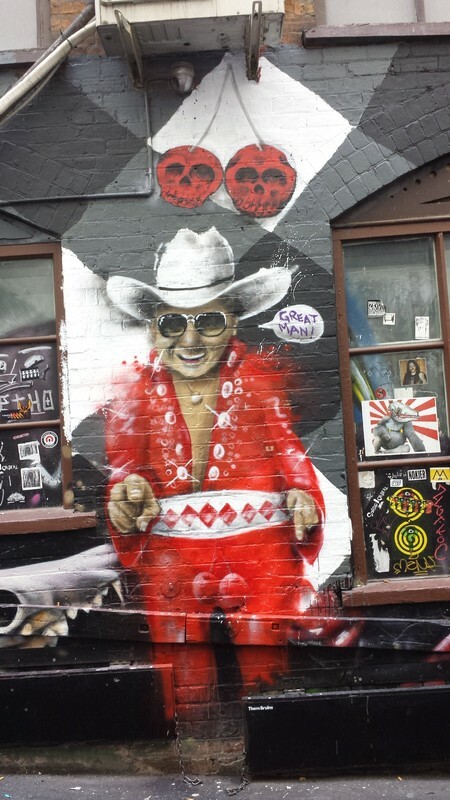 However, contrary to the involvement of monetary exchange, the street art may persist as the owners embrace a neo-liberalist idea of free marketing. 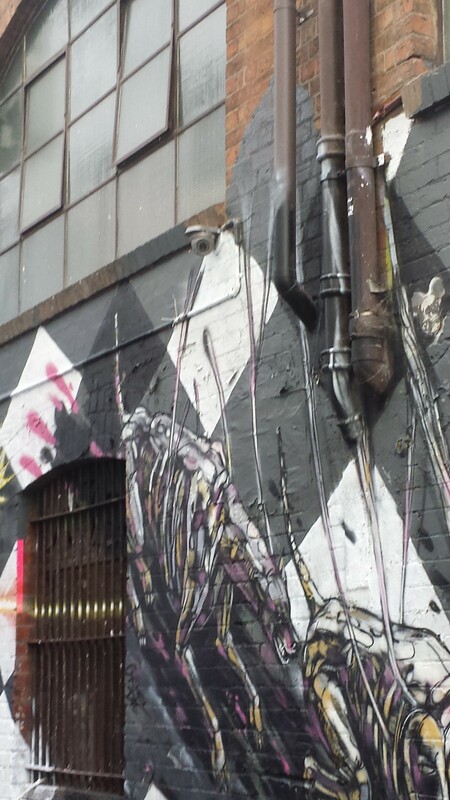 Notably, there appears to be a surveillance camera monitoring the club or observing the artwork to protecting it from vandalism. 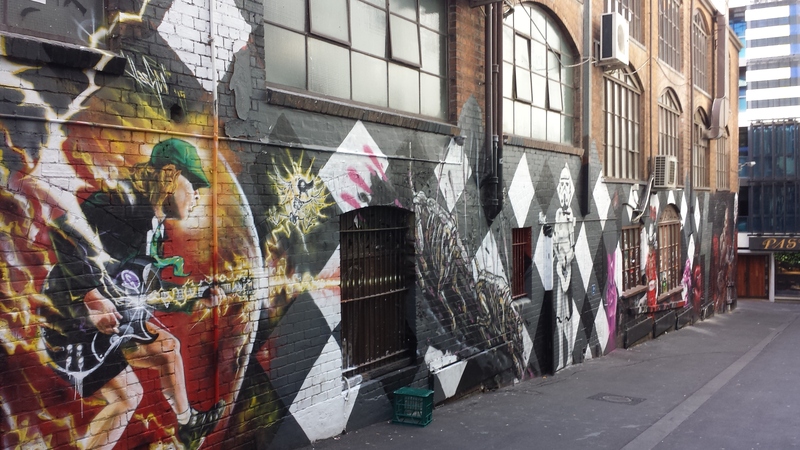 “Stop 1 : AC/DC Lane,” Street Art deTours, accessed April 20, 2019, http://streetartdetours.com/document/1003.